I’m still on my courgette kick if you haven’t already noticed – exploring what this incredible veg has to offer. From Courgette flowers to simple garlic and pasta these babies are the king of the jungle garden in my opinion. 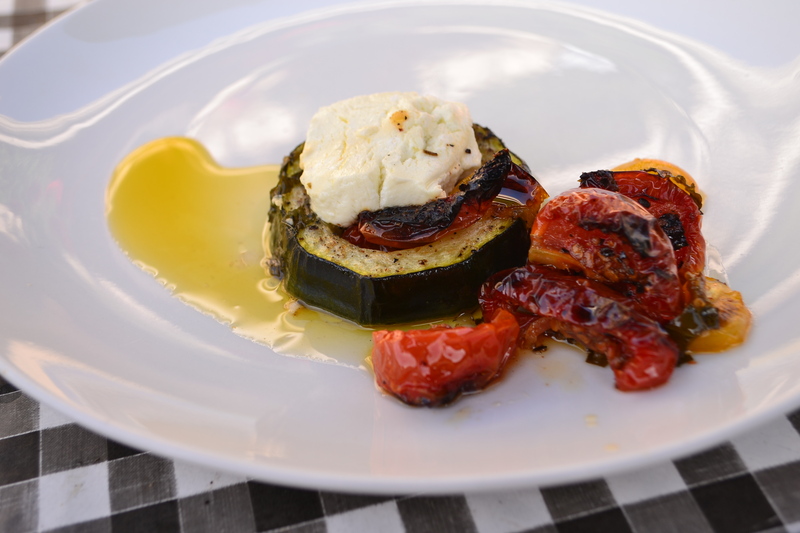 I’ve decided to explore the roasting option here which on their own courgettes take to with a gusto, but what’s to say we don’t kick things up a gear with some sweet, creamy and acidic…..goats cheese and tomatoes are incredible partners to a simply roasted courgette. This is a ‘cut it and forget it dish’, about 30-35 minutes in a medium oven and you have and incredilbe starter. Kick off by lightly oiling a roasting tray then cut the courgettes in 2cm rounds – remove the core so you are left with a ring. 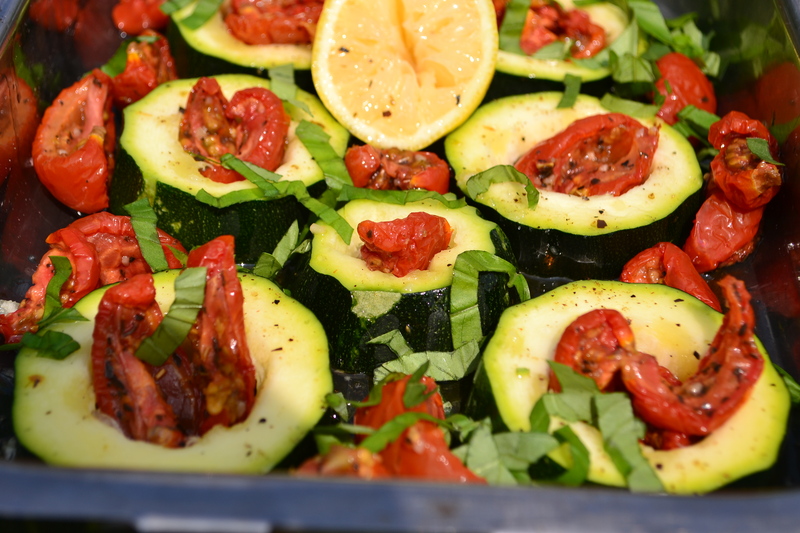 Place the courgette in the roasting tray flat and coat with the oil, season really well with salt and pepper, squeeze over the lemon then add the tomatoes (both types) into the centre as a filling. Next sling the tray into a medium/high oven (about 170c) and roast for about 30 minutes or until the courgette is soft but not mush. 5 minutes before the end of the roasting spoon on a generous amount of the goats cheese onto each courgette ring, splash in the wine and finish in the oven. This is a stonker of a starter especially with a sour dough bread or if you fancy it as say a brunch then serve it with a poached egg ontop.